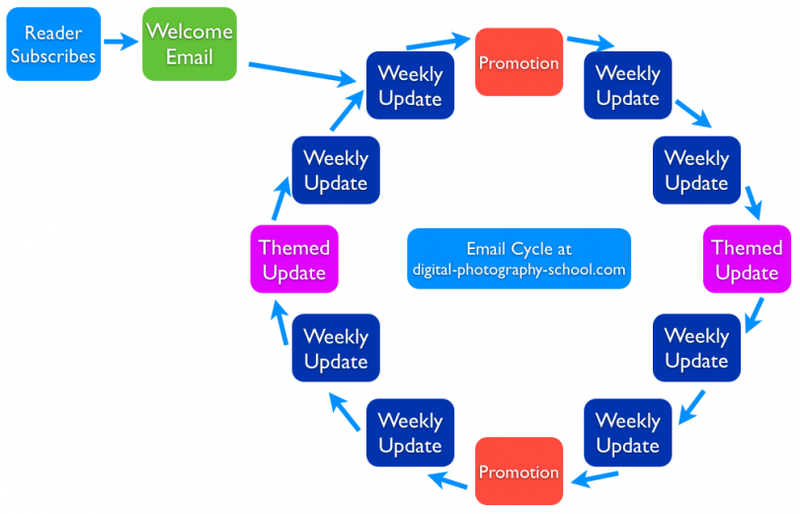 Want to learn more about email monetization? This post outlines strategies for monetizing email addresses, including sponsored emails, an intro to co-registration, and reviews of email ad networks. When considering ways to monetize traffic, many site owners overlook the importance and opportunity of email addresses. If you have good content, getting email addresses will be relatively easy; visitors will opt in to your e-newsletters, or hand over their contact information in exchange for access to some unique piece of content or tool. And many sites do collect huge email lists. 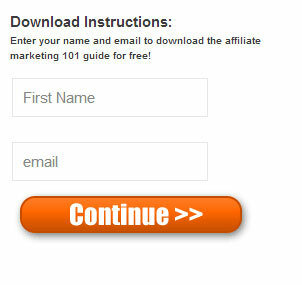 But often lacking is the execution to turn these email addresses into revenue. As always, the exact formula will vary depending on the site and audience. But we can provide some guidance for those looking to put their email lists to work for them. Click here to learn more about How to Monetize, Rent, or Sell Email Addresses. For publishers focusing on the monetization of their sites, the traffic coming to and interacting with your properties is an asset with potentially significant value. But it’s important to note that this traffic, or user base, asset can take multiple forms. The most common form when it comes to monetization is pageviews, and the attempts to convert visits to a page to display advertising or affiliate marketing revenue. But a user base can also take the form of email addresses–more personal information about the visitors who come to your site. A list of email addresses given voluntarily by your users can be a valuable asset, as they represent a way for you to regularly engage with your audience and build loyalty, thereby increasing the frequency of visits. A mailing list also represents a potentially significant revenue opportunity for you, if you decide to allow third parties to market their products and services directly to your audience. Below we’ll walk through the pros and cons of sponsored emails and share some examples of proper implementations of this monetization approach. 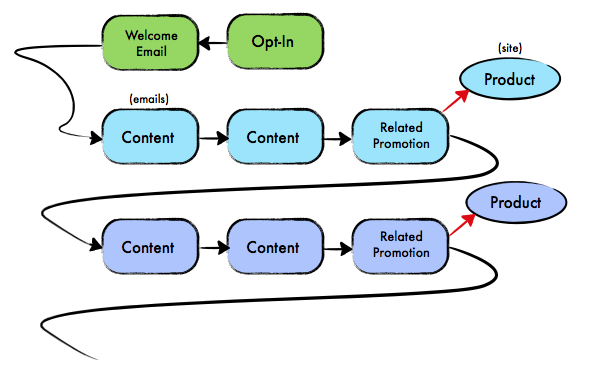 What Is Sponsored Email (and How Does it Work)? 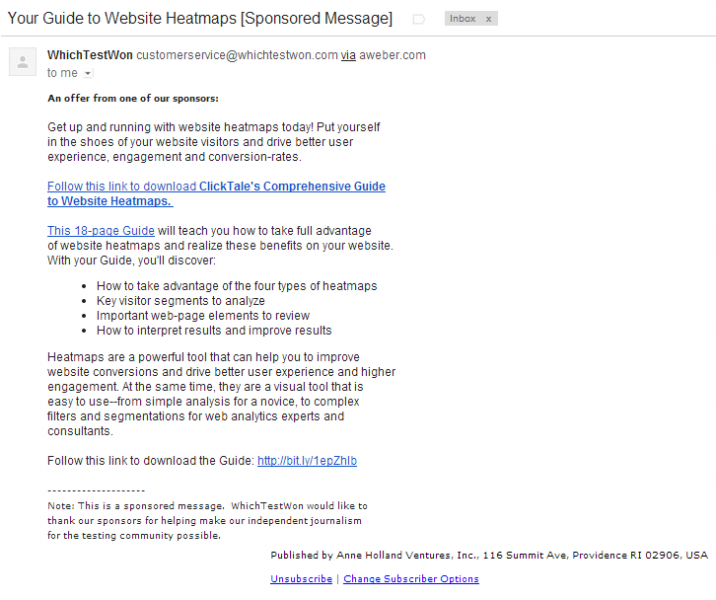 Sponsored email involves sending emails to your audience on behalf of a third-party sponsor. In other words, you’re renting out your email list, or accepting payment from a partner in exchange for sending a promotional email to your distribution list. You’ve probably received a sponsored email at some point in the past few weeks, as many publishers offer sponsored emails as a way to monetize distribution lists. You should never give a third party access to your email addresses. If those addresses are stolen and spammed, you’ll risk losing subscribers and potentially facing some big fines. You should prepare your subscribers for the fact that they’ll be receiving third party emails from time to time (more on this below). You should review (and edit if necessary) the content of the sponsored email. You should monitor the adverse impact of these sponsored emails closely (more on this below as well). Sending sponsored emails generally follows the same steps as an in-house email you would send to your distribution list. You’ll likely want to make it clear, however, that the email is coming from a third party and that you’re being compensated to send it. You’ll want to make sure that unsubscribe options are easy to access in case your email turns off some of your subscribers. The short answer to this common question is: a lot. The ability to send a promotional email to a targeted list of subscribers is a very valuable opportunity for your potential partners, and they should compensate you for that opportunity. 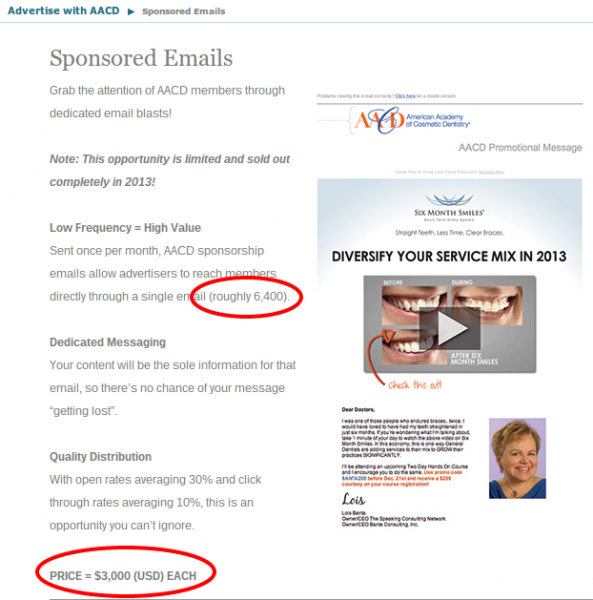 Moreover, there is a cost incurred by sending sponsored emails. Some of your subscribers will opt out of your list, meaning that you won’t be able to contact them again. That may be hard to quantify, but it’s clearly a significant cost to you and future lost revenue. This email list is very targeted and very qualified; most publishers won’t be able to charge quite that much. Still, it illustrates the impressive revenue opportunity in sending sponsored emails, especially if your list is extremely targeted in nature and offers access to a valuable demographic. The exact rate you charge will depend on a number of factors, including how large your list is, how targeted the audience is, and what type of products and services are being promoted. But it’s not unreasonable to start north of a $100 CPM for this advertising opportunity. While there’s an obvious opportunity to go wrong here–for example, by sending an abundance of spammy emails–it is possible to turn email addresses into a nice revenue stream without hurting the long-term viability of your property. Perhaps the hardest part of sponsored email revenue is finding clients. For most online monetization opportunities, there are multiple networks that help publishers start generating revenue without developing direct relationships. In addition to the numerous display ad networks, there are networks focusing on video ads, native advertising, and even sponsored tweets. Sponsored emails, however, don’t work nearly as well with the network model. Because of the complexities involved in sending a sponsored email and the privacy issues around sharing email addresses, it’s hard to involve a third party in this process. Moreover, while just about everyone selling a product or service on the Web has a 300×250 banner ad ready to go, most do not have good, effective email copy prepared and ready to go. In other words, finding a quality partner for sponsored emails is hard. Your best bet is to develop a relationship directly with a relevant partner, or to leverage existing relationships with companies who may benefit from reaching your audience. It takes a lot of time and effort to build up a list of email addresses, so there’s an understandable reluctance to start blasting your users with emails from third parties. We suggest being very selective when it comes to sponsored email partners. While high CPMs from low-quality partners may mean some nice short-term revenue, that approach can be to the long-term detriment of your site. Regardless of the quality and relevance, however, some people are turned off by sponsored email. When >you start sending sponsored emails, some of your subscribers are going to unsubscribe. This is inevitable, but it’s also hard to predict the extent of the adverse impact. There are several things you can do to minimize and monitor any backlash. When dealing with potential partners, make it clear that you will insist on approving and potentially editing the email they want to send. Because you’re sending from your email service provider, it’s your account that is at risk here, not theirs. Sending emails that get flagged as spam will hurt your ability to communicate with your audience going forward. We occasionally send out emails on behalf of third party sponsors, who pay for the opportunity to promote their products to our awesome audience. These sponsors allow us to continue to provide you with the very best content and tools possible. We promise we’ll only partner with high quality sponsors, and that we’ll never spam you. Your subscribers will appreciate that level of transparency, and most of them will understand that you need to make money somehow (especially if you offer them free services). The frequency with which a list can be sent sponsored emails depends on a number of factors, including the frequency with which you send them free content, and the value of that free content. The more value your free content delivers, the more subscribers will be willing to put up with. Keep a close eye on the unsubscribe and spam rates, and be sure you know if you’re likely to raise any “red flags” with your email platform. We use MailChimp to send our emails, and they have a very helpful benchmark chart to see where you stack up. As a rule of thumb, if you’re seeing abuse complaint rates north of 0.10% or unsubscribe rates higher than 0.20%, you may want to reconsider sending sponsored emails. As a final tip, you may also wish to give your subscribers the option to opt out of receiving sponsored emails without unsubscribing entirely. Doing this may impose a bit of a tech hurdle of mirroring your regular email into a “sponsored emails” list. But then when your subscriber wants to unsubscribe, you can present him with the option of either unsubscribing from all emails, or opting out of just the sponsored emails but continuing to receive the regular in-house emails. There are pros and cons to this sort of setup, but it is worth careful consideration. Sponsored email is a big opportunity for sites that have accumulated large lists of loyal subscribers. With triple-digit CPMs in play, developing a sustainable sponsored email strategy can have a big payoff. Unlocking this revenue stream is challenging though; you’ll need to find the right partner and take steps to protect your list, both of which can be major tasks. One of the most valuable assets any online property will hold is its email list. Generally built up over a period of time, an email list represents the most loyal list of visitors to your site who have chosen to engage with you on a deeper level than most who simply pass through. Email is a cost-efficient way to better monetize your site, whether you’re selling a product, running display ads, or driving visitors towards affiliate links. Click here to learn more about how to pick an email provider. A key component of just about any Web monetization strategy involves the building and maintenance of an email list. Collecting email addresses allows you to keep in touch with visitors to your site, and encourage repeat engagement–ideally in a way that makes money for you. Unfortunately, just collecting email addresses doesn’t translate into more efficient monetization of your audience. Once collected, there is a significant amount of work to do. The vast majority of emails go unopened, and click rates of those that are opened are also very low. Getting your subscribers to open and click on your emails is a tough nut to crack–but a very rewarding one if you do. Below is our quick-and-dirty overview of subject line optimization, complete with instructions for running an experiment on your own site to see what works (and what doesn’t) for your exact audience. First of all, let’s explain and understand why higher open rates lead to higher revenue. If you’re selling a product or service (such as a paid membership to your site), the correlation is pretty obvious: the more people open your email, the more will see your offer and eventually end up buying. Display Advertising. The more emails are opened, the more subscribers end up on your site to consume content. That means more ad impressions, and higher display ad earnings under either a CPC or CPM arrangement. Affiliate Marketing. More email opens means more people see your affiliate marketing links, either within the body of your email or once they click through to your site. The list could go on and on. The basic idea is simple; each email that is opened moves one of your subscribers from a “cold zone” where they are unlikely to make any money for your website to a “warm zone” where they can make you money with a single click. Think of a traditional sales funnel. Getting a subscriber to open an email moves them further down the funnel, even if the end product is something non-traditional such as a click on an ad. One of the easiest ways to boost open rates is to piggyback on the research others have done on the topic. Read through the studies above, and take note of which words work and which don’t. You’ll notice some themes emerging, and will likely see many of the keywords you regularly use appear multiple times. The studies highlighted above can give you some guidance for writing subject lines, but ultimately the best practices for your site and your audience will be unique from all other properties. If you want to really figure out what works and what doesn’t when it comes to getting your audience to open your emails, you’ll need to run your own experiments. The thought of running a detailed subject line experiment may seem overwhelming. But it doesn’t have to be; it’s actually very easy. Here’s a step by step guide to set up an effective experiment. Ends in an Exclamation Point! Enter each into a row of a spreadsheet. Down a column, enter your subject lines from actual campaigns. In an adjacent column, enter the open rates for each. With some basic spreadsheet skills, you’ll not be able to see open rates for all subject lines that contain a certain type of word or structure. 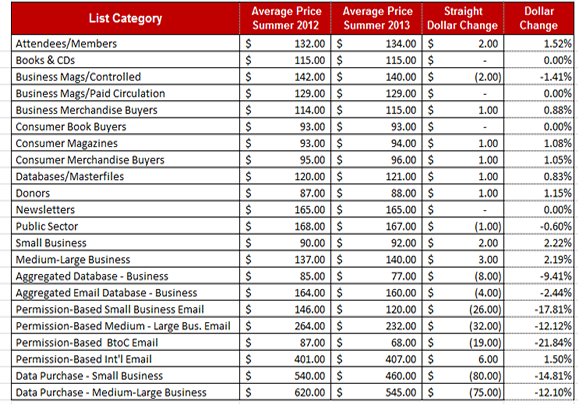 Here’s an example of the spreadsheet we put together with some of our subject lines. You’ll need more entries before you can reach statistically significant conclusions, but the intended use should be evident. In this example, subject lines that ask a question had an average open rate of about 19%, compared to only about 18% overall. If that trend plays out over an even larger sample size, that’s very useful insight. It’s important not to draw any conclusions or start writing copy based on a small number of subject lines. But once you start to compile a meaningful number of data points (i.e., 50 or more), you should be able to do some basic analysis and draw some preliminary conclusions. Improving email open rates is one of the many ways to improve your site’s earning potential; the more emails are opened, the more monetization opportunities you’ll have (generally in the form of visitors to your site). There is probably some low hanging fruit available to you in this regard; a few relatively easy changes can make a potentially significant impact. If you want more background on the basics and benefits of building an email list and popular ways to do so, AWeber has a good summary of how to use incentives to capture email addresses. GDM Interactive has a great overview of incentive implementations as well. Few things are more frustrating than seeing success in capturing a large number of emails, only to discover that most of them are garbage–addresses such as [email protected] that are the result of mashing the keyboard. Those emails are worthless, as you have no way to get in touch with whoever submitted it again. And they have no incentive to give their email to you again, as they already have access to the desired product that was behind the “free wall”. Stopping bad email addresses before they’re ever submitted is an effective way to reduce your bounce rate and reach more potential customers. The ideal solution is to implement a system whereby submitting an email address triggers an email with a link that must be clicked in order to complete the process and grant access to the desired content. If someone gives you a bogus email, they remain locked out since they never get the verification link in their inbox. That isn’t the most advanced system to implement, but it definitely takes a bit of development work to get done. If you’re not able to devote resources to that (or want to avoid a verification link for other reasons), here’s a quick and dirty alternative: bluff with the threat of a verification link. This can be set up in just a few seconds, and will improve your capture rate dramatically. Throw in some highly visible text near the email field or “Submit” button that makes it clear to users that they need to enter a real address to gain access. Something along the lines of “A verification link will be sent via email” should do the trick. Most visitors will be familiar enough with the concept of a verification link within a follow-up email that they will be encouraged to bypass a keyboard mash and give you their actual address. But adding something like “You’ll receive a confirmation link via email” next to the email box or Continue button will reduce the number of bad emails provided significantly. It’s fine if this is a pure bluff–meaning that users will get access to whatever is behind the “wall” even if they give you a bogus email. Some will call your bluff and fill in bad information anyways, but most will be motivated enough to be truthful with their contact information. You’ll still get some garbage emails that will hard bounce and will eventually need to be scrubbed. But your success rate on email capture should see a noticeable uptick; the number of “bad” email addresses you collect should drop by 50% or more just by adding a quick sentence or two to your email capture page. Simon Slade has a good article on email capture strategies at Click Bank, and Charles Nicholls also has a must-read article on the same topic at Practical Ecommerce. If you want to put a bit more dev work into preventing your incentive program from being compromised, a more foolproof solution is to set up an autoresponder to email the reward (for example, an e-book) to the address provided. This guarantees that anyone filling out the form will give their real address–or else they won’t get the incentive you’re offering. 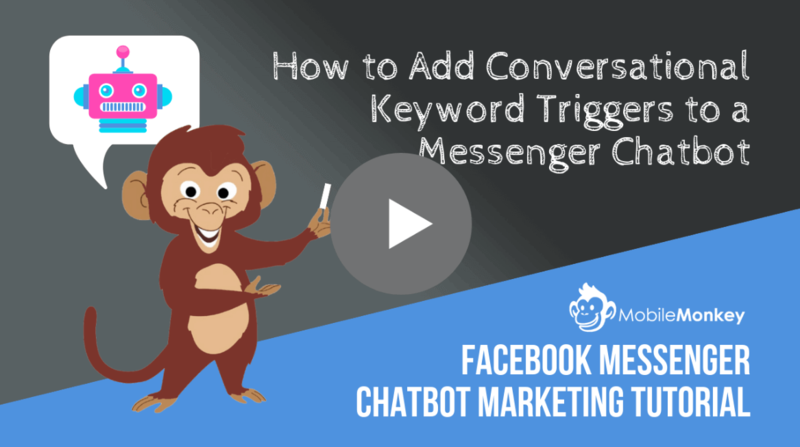 This method may be superior to having a confirmation link sent to the inbox; that setup allows for slippage if visitors decide they no longer want your product, as well as potential frustration along the way. As a general rule of thumb, the more email addresses you’re able to collect, the more successful your online business will be. Coming up with a great incentive for visitors to hand over their email is an important first step, but if your giveaway is easily “hacked”” you will end up losing out on a lot of addresses over time. The fixes available to you come with various amounts of development resources required. Though an email address may not seem like much–just one of hundreds of millions out there–it can be an extremely valuable asset. While many site owners spend a great deal of time trying to get new visitors to their sites, there generally isn’t much thought on how to get previous visitors to return to the site (and, ideally, engage at a deeper level). Today we’re going to dive into email autoresponders, a powerful tool for better monetizing your existing traffic base. An autoresponder is a series of email messages that is delivered at pre-determined intervals. Generally, the clock starts when a visitor to your site signs up for a membership or newsletter; they’ll then start receiving a series of emails at times you determine. As we’ll discuss below, each of the bullet points above can potentially be broken down into its own autoresponder with a series of emails expanding upon the particular point. What is the primary goal or the autoresponder? How many emails are included in the autoresponder? How frequently are autoresponder emails sent? What is the call-to-action (or desired recipient action) for each email? In addition, you’ll obviously need to write subject lines and copy for each email in the series. To show how you may be able to use an autoresponder to better monetize your traffic, think of the problem we’re trying to solve. Problem: Most visitors spend only a few minutes on your site, and aren’t able to discover or fully appreciate all of the content you’ve created there. Even if they give you their email addresses, they’ll likely only ever see a small fraction of your site. Many sites focus on stuffing visitors full of all of their content while on the site. That’s like trying to get them to drink from a fire hose. Solution: Think of autoresponders as a more measured, gradual approach to selling a product or exposing your audience to your site’s content. Instead of trying to close the deal immediately on-site, you get a chance to make the pitch over the course of several detailed emails. 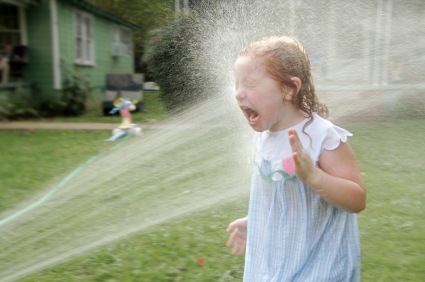 You’re letting them drink from the fountain instead of the fire hose. For sites that sell a paid product, autoresponders can be a great way to gradually familiarize potential customers with the value your product offers. If your paid membership product has a number of different features (like this one), each triggered email can highlight the benefits of a singular feature. If your product has one primary feature (like this one), an autoresponder can be used to show different ways the tool can be used or to highlight success stories. In other words, think of an autoresponder as way to walk potential customers through your landing page. Except instead of letting them read (part of) it in one sitting, you get to explain your product in a series of emails. If someone signed up for your newsletter (or gave you their email address for another reason), they clearly liked something about your site. But odds are that most subscribers have not seen the best content and tools you have to offer on your site. If you have one killer tool or article, it’s easy enough to funnel visitors there (for example, by linking to it in the nav bar, using a Hello Bar, or various other techniques). But for any property with several great resources (a term that can include articles, tools, e-books, etc. ), it is always a challenge to get visitors to focus where you would like them to focus. In other words, it’s difficult to highlight the best content you have to offer and steer visitors when they’re on-site. But autoresponders are a great way to do this effectively. By highlighting the best content on your site, you can increase quality indicators such as time on site. There are also some direct monetization benefits for sites that monetize via display advertising: more pageviews translates directly to more revenue. For sites that already have a deep library, this approach allows publishers to leverage existing work. There’s no need to create new content; simply highlight the best parts of your site already in place. Though we don’t focus much on linkbuilding or other aspects of SEO, it’s worth noting that there is a potentially significant (and positive) side effect. If you’re able to gradually highlight high quality pieces of content to the right people, you’ll probably be able to attribute some new inbound links to your autoresponder. If you’re taking this approach, your autoresponder should include a series of emails highlighting what you think are the most “linkable” pieces of content you’ve produced. For sites that monetize via affiliate marketing, an autoresponder can put several different affiliate offerings in front of subscribers over the course of a few weeks. There’s a fine line to walk in terms of being overly promotional here; if you’re shamelessly hawking products that you make a fee on, you’ll see some pretty high unsubscribe rates. But if done tastefully and in an informative way, an autoresponder can be a great way to showcase products and services that cut you in for a portion of the total sale. Perhaps a better use of this technique would be to work an affiliate marketing-focused email into the autoresponder sequence. For example, after you’ve sent a few emails highlighting some of your best content you may send one that highlights some of your favorite tools and resources. Most autoresponders (including a few of the examples below) borrow from a number of different strategies and thus seek to accomplish a number of different goals. For example, an autoresponder may focus primarily on highlighting or explaining free content and resources, with occasional plugs for paid membership upgrades or affiliate offers. Social: Invite subscribers to like you on Facebook, follow on Twitter, subscribe on YouTube, or connect on LinkedIn. Sister Sites: If you publish more than one site, let subscribers know about what the other properties have to offer. Coupons: If your site is set up to run sales where you offer paid products at a discount, an autoresponder can be a great way to encourage subscribers to take advantage. Completion Rate: Ideally, everyone who signs up for your subscription will receive the entire autoresponder chain. In reality, you’ll probably see some drop off along the way. If there is a big increase in unsubscribes at a certain point in the chain, you may need to tweak your strategy there. Click Rate: The goal of most autoresponder emails involves getting the reader to click through from their inbox back to your site. The percentage of opened emails that end up on the site is a good indicator of the success in this initiative. Conversion Rate: Ultimately, an autoresponder’s success is measured by the number of email recipients who convert to s specified goal. Detailed tracking can be set up here using Google Analytics so you’ll know exactly how efficient your email sequence is. And here at MonetizePros, we’ve spent a considerable amount of time setting up an autoresponder for our members. We’ve created a great suite of tools to help with Web monetization, and we’re using our series of auto-triggered emails to explain to subscribers exactly what’s available to them. Our primary goal with our autoresponder sequence is to get subscribers to come back to the site frequently and hopefully pass along our site to a friend or colleague. Autoresponders take quite a bit of thought and work to set up, but can be an effective way to accomplish a number of goals. Whether you’re looking to build links, grow your audience, generate additional display ads, or convert visitors and subscribers into paying customers, autoresponders can be an effective way to market your product. Display ad monetization is continuing to evolve, with many sites relying on “non-traditional” implementations for a significant portion of overall revenue. One new opportunity embraced by many publishers is email, a medium that has historically not been populated by ads. For sites that sell ads directly, including email banner ads can be a creative way to boost both overall revenue and performance. (Also see our list of 14 creative ad units for your next proposal.) If you don’t have direct relationships in place, however, there are a few options out there that can deliver relevant advertisers to you. 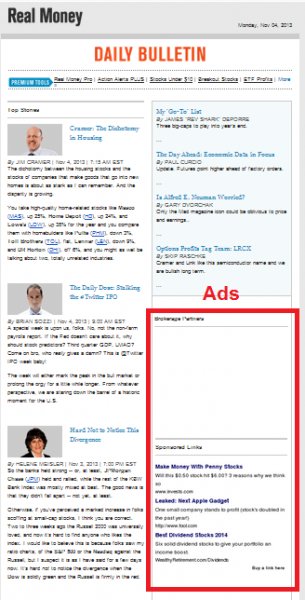 Below we will highlight some of the best options for monetizing email via display ads. Advertisements in email is nothing new. Web publishers, e-commerce sites, and other online properties have been sending promotional messages to their subscribers for years. But the idea of a third-party ad network extending to email is a relatively novel concept. Email ads represent a unique opportunity because they allow advertisers to promote their products through a medium that has historically been free of third-party advertisements. Display ads within email can also be integrated with the content created by the publisher, allowing advertisers to leverage that brand and trust and overcome banner blindness. Advertisers with creative that can run within an email newsletter. LiveIntent is the biggest player in the email ad industry, with a large network of publishers and advertisers. Their requirement of three million monthly ad impressions (i.e., emails opened), however, means that they aren’t a viable option for many smaller publishers. If you are large enough to be accepted by LiveIntent, getting set up is pretty straightforward. 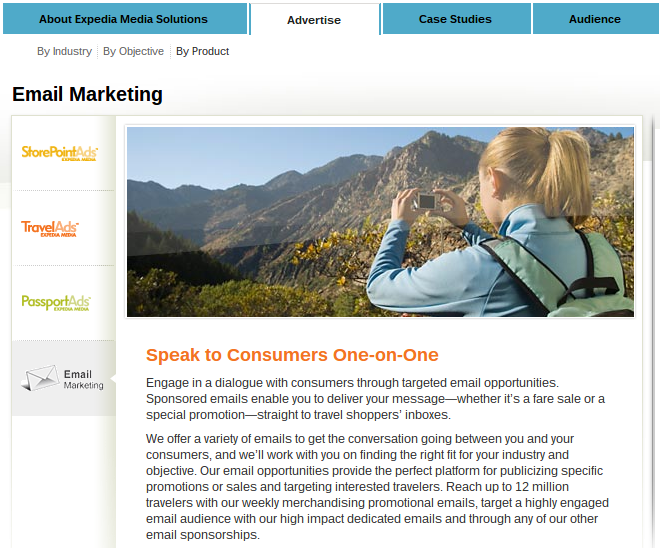 LiveIntent is integrated with a number of email service providers, including SilverPop and Mailchimp. (See the full list here.) That means that you likely won’t need to change ESPs and will have a relatively automated experience. 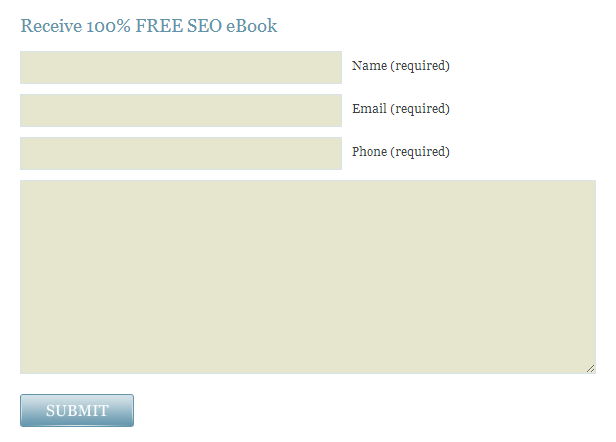 This solution is powered by static HTML tags, which publishers can inject into their email templates as appropriate. Because most email ad networks generate revenue on a cost-per-click (CPC) basis, publishers have a great deal of control over the monetization. The position of the ads within the email will have an impact on total clicks and therefore revenue. If ad code is buried at the bottom of the email, performance will probably be pretty poor. But if it’s effectively integrated into the content of the email, it will be more likely to generate clicks. Once the tags are integrated into email templates, the maintenance is minimal. Ads start appearing with your next email blast, and you should see fill rates close to 100%. Click here for our full review of LiveIntent. NewsletterDirectory.co also uses static HTML tags to serve ads; once this code is inserted into your email templates, you’ll be up and running. The ads that appear are generally for SaaS companies; Shopify and FreshDesk are a couple advertisers who appear regularly. The nature of the advertisers who use this network will make it a better fit for certain publishers. For example, the ads likely won’t be very relevant for a cooking newsletter. 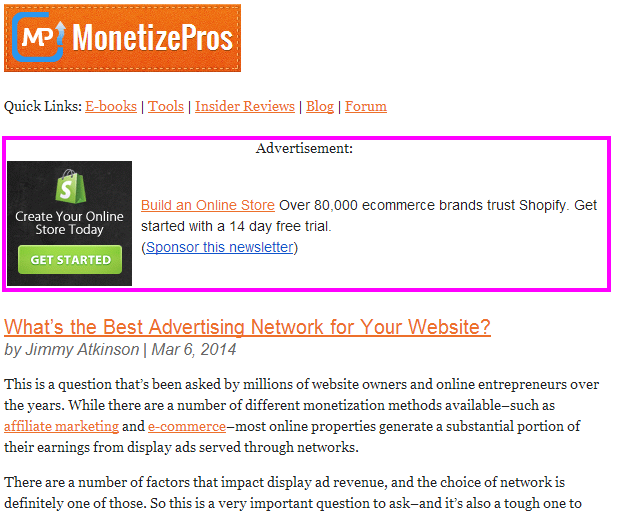 But we’ve had some success with this network in our MonetizePros email campaigns. Though the site isn’t as fancy as LiveIntent, NewsletterDirectory.co is easy to use and pretty darn effective. (We’ve been using this network to serve ads in the daily MonetizePros newsletter for the past few months, but are receiving no compensation for this review.) Because this network works on a cost-per-click basis, performance will depend in large part on open rates and positioning of ads within emails. As a rule of thumb, every 1,000 opened emails can be expected to make publishers about $25. The drawbacks of NewsletterDirectory.co are primarily related to account administration. For example, the reporting features are a bit limited and tough to figure out. Click here for our full review of NewsletterDirectory.co. 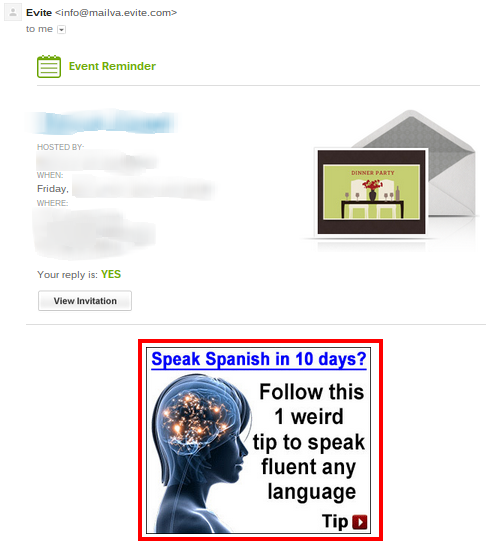 For the time being, it isn’t possible for AdSense partners to include ads within emails. When FeedBurner was still around, this could be accomplished by setting up AdSense for Feeds and then sending out an email version (either through FeedBurner or another platform such as MailChimp). When researching email ad networks you may also come across LaunchBit, a startup that has received quite a bit of attention recently as a solution for SaaS companies to generate leads via email banner ads. The aforementioned NewsletterDirectory.co is owned by LaunchBit, so that’s the way to get into this network. You might also come across InfluAds, which popped up in 2011. That platform is now part of BuySellAds, which is another option for publishers looking to monetize a list of email subscribers. On this platform, which also includes traditional on-site display ads, publishers can create a profile and list prices for banner ads in their email newsletters. Because BuySellAds is more of a marketplace than a network, fill rates from this partner will generally be way less than 100%. We suggest using BuySellAds in combination with either of the networks above; list your email newsletter ads at premium prices on this platform, and use the network to backfill the ad inventory whenever a list isn’t purchased. If you want an easy solution to monetize your emails, there are two primary options available to you for now. Larger publishers will likely be best off with the LiveIntent network, while smaller publishers should use NewsletterDirectory.co. Both are easy to implement, and effective at generating incremental revenue for publishers. Because both networks utilize static HTML tags to serve ads, it’s pretty easy for publishers to run both of them and compare the earnings. It’s great to hear that you found our post so helpful. Thanks for Sharing Good Information , it’s a huge help for people to monetize emails. I have just subscribe to your newsletters, read this guide, and I can tell : it’s a huge help for people to monetize emails. Thanks & great job ! Thanks for your comment. 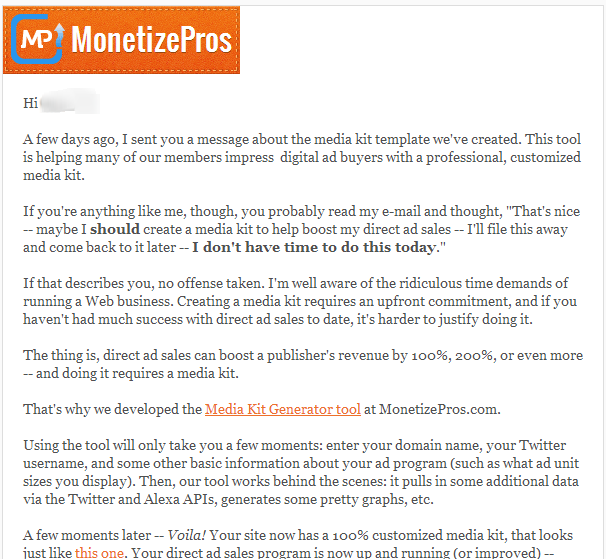 We use MailChimp on MonetizePros. Really big fans of the interface. Thanks Georgie. Sign up to our newsletter too so you’re kept in the loop! What e-mail marketing service do you guys use on Monetize Pros? Wow you guys are putting out some huge pieces of content lately. Keep up the great work!